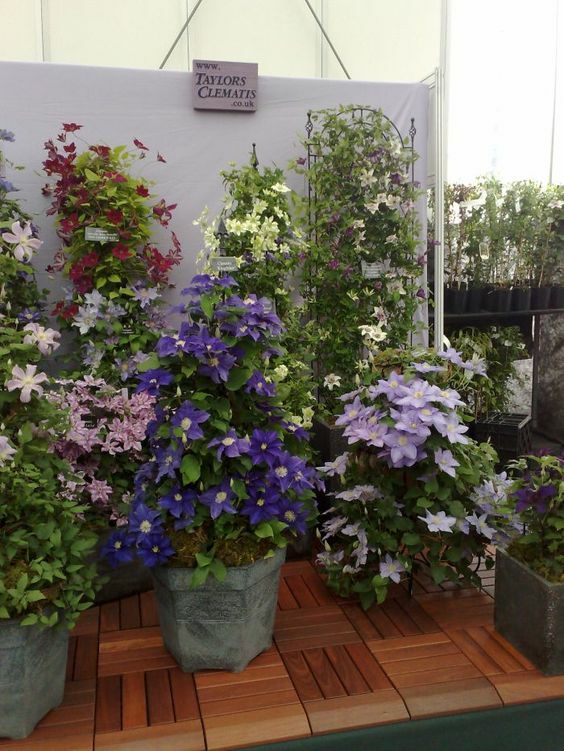 The large-flowered clematis hybrids are among the most impressive of all ornamental climbers. However as they are all selected hybrids they will not grow true from seed and so they will all need to be propagated vegetatively. 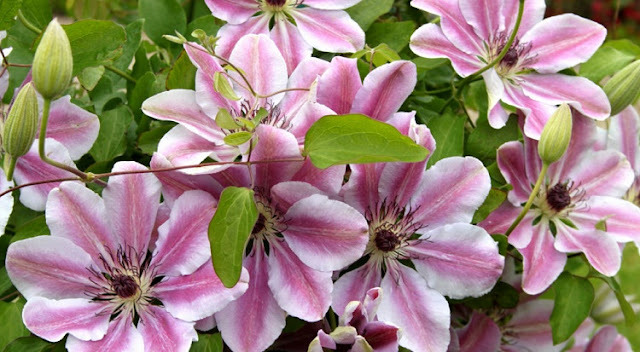 While growing clematis from cuttings is the accepted method of propagation, it isn't straightforward as you will require a fungicidal drench, basal heat and hormone rooting powders. While growing clematis from cuttings is a much quicker and allows for a larger number of plants to be produced, propagating clematis by layering is so much easier. 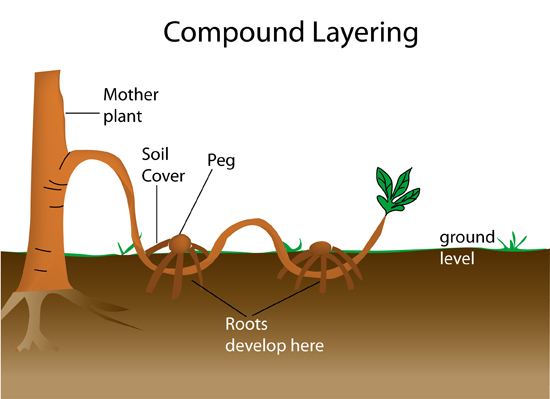 The best time to propagate clematis this way is early spring using the serpentine (otherwise known as the compound) layering technique. To begin with, choose a vigorous stem that has plenty of new growth and is long enough that it can be laid on the ground. Rather than bury, and secure the stem directly into the ground (which you can do if you improve the soil with a humus rich compost), fill several 9 cm terracotta pots with a good quality soil-based compost such as John Inness 'Seed and Cutting', leaving a couple of centimetres gap at the top to aid watering. Bury the pots within each of the base of the stem, approximately 5 cm apart. Being aware of where the stem will comfortably lie over the pots, cut short, narrow and shallow slices that will expose the cambium layer without cutting through it. Make as many cuts as you have pots, leaving a gap of approximately 20 cm between cuts. As you would with regular clematis cuttings, dip each cut section into rooting hormone powder. Trying not to wipe the powder off, gently bury the cut stem sections 5 cm deep into separate pots. The vine should loop in and out of the pots. 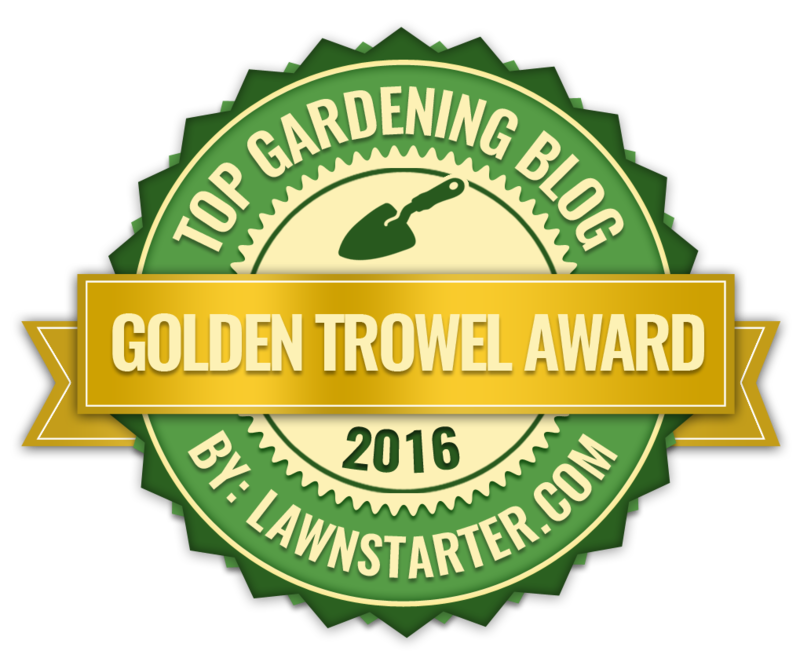 Secure each cut section into its pot using a suitable peg or stone then gently water in. Continue to water regularly over the summer but avoid waterlogging. Water the pots well and keep them moist throughout the summer. Roots should form over the coming months, and come the spring you can sever the stems between these new plants and from the mother plant. Pot on into 1 litre pots. and once established they can be planted out into their final position.